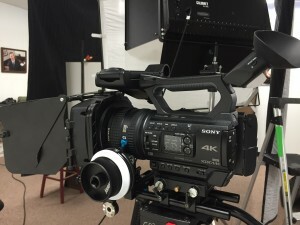 Earl & Sedor Productions goes 4K! Home > General > Earl & Sedor Productions goes 4K! Here’s our new Sony Z150 4k video camera. We chose this model for it’s usability in production environments. Though delivery of media in 4k is rare at this point, we want to make it available for our clients, as well as having the flexibility of 4k footage in editing. B&H Photo Video in New York City shipped it quickly to us.